Greenfield chiropractors, Drs. Jack Masche is a native Milwaukeeans and graduate of Palmer College of Chiropractic. He has been dedicated to helping Greenfield families enjoy greater health through living a natural lifestyle. 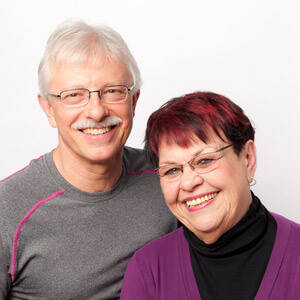 “Chiropractic really helped me when I got out of the service back in 1970,” said Dr. Jack.. A host of health problems such as allergies and back issues with sciatica prompted Dr. Jack to see a chiropractor after he decided he didn’t want to get surgery that an orthopaedic suggested. At that time, Dr. Jack didn’t know what chiropractic was, but knew he didn’t want to go through with the surgery at only 24 years old. Successful chiropractic treatments helped to get him healthy. Dr. Jack even started running marathons. As a student at Palmer, Dr. Jack learned that the body is capable of healing itself. You just have to get it to the right state to get it back to normal. They are also certified in nutrition, and are the Administrative Officers for Citizens for Free Choice in Immunization. When they’re not working, Drs. Jack does Pilates to stay young. He also reads, practice healthy eating, and work with his daughter, who manages his East Side Pilates studio. He also enjoys spending time inhis home and working in the garden. “I enjoy life simply,” says Dr. Jack. Call (414) 529-5370 to find out how Drs. Jack takes a holistic approach to helping you get healthy!